Five Augustana alumni will be honored for outstanding contributions to their fields of endeavor and for exemplifying the College’s values, including Christian faith, excellence, the liberal arts, community and service during Viking Days in October. Amundson, class of 1961, is recognized for his lifetime of service to the citizens of South Dakota as a lawyer and judge. A business administration major, he graduated from the University of South Dakota Law School in 1965. After practicing law in the Black Hills area, Amundson was appointed by Gov. George Mickelson to become the 21st Circuit Court Judge in the Second Judicial Circuit in 1987. He served in this position until 1991, when Mickelson appointed him to the Supreme Court of the State of South Dakota. Amundson retired from this position in 2002. "As an institution, Augustana has succeeded in graduating students with not just a high level of education, but a deep understanding of Christian values and the need to serve others. Augustana is a place that rewards honesty, loyalty and integrity. I can think of few people who embody the vision and mission of Augustana as completely and thoroughly as Robert Amundson. He is most deserving of your prestigious honor," said Dave Munson, former mayor of Sioux Falls. Harmel, class of 1972, is recognized for his leadership and vision as the chairman and CEO of Lifetouch Inc. An accounting and business administration major at Augustana, Harmel also played both basketball and baseball for the Vikings. In the late 1970s, he joined National School Studios, now known as Lifetouch. 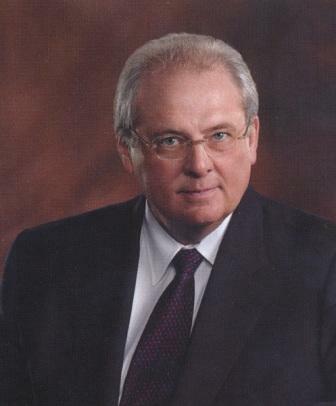 Throughout his career at Lifetouch he held a series of executive management positions until being named CEO in 1997 and Chairman of the Board in 2002. Under his leadership, employee-owned Lifetouch has grown to over $1 billion in annual sales and has become the market leader in professional photography. "Paul Harmel was present when the founder of Lifetouch transferred ownership to the employees in the form of an Employee Stock Ownership Trust. His due diligence has made that Lifetouch ESOT one of the largest and oldest programs in the country, providing retirement benefits beyond imagination for thousands of Lifetouch retirees. His leadership has brought honor to our company and the admiration of countless employees. 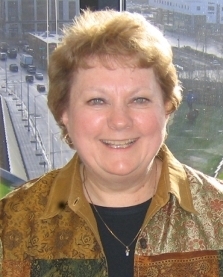 Paul is incredibly worthy of this award," said Kelvin W. Miller, Lifetouch Inc.
Meyer, a nursing major from the class of 1974, has described herself as an "impassioned nurse" who is dedicated to the health profession. She got her start as a critical care nurse in Dallas, Texas, then moved on to solid organ transplant as a transplant coordinator. She later explored the field of biotechnology. Currently, Meyer serves as a senior clinical trial associate for clinical affairs at Dendreon Corporation where she works in the biotechnology research field and has been a part of a team involved with the investigation of a vaccine for the treatment of prostate cancer. "Augustana's influence has shaped Jayne's professional life and her accomplishments. As a clinical nurse, her compassion, caring spirit and gentle hands touched the lives of many transplant recipients. In her research position, her leadership skills are focused to maintain the integrity of the research protocol while protecting those who are participants in the trial. Through her membership in professional organizations, she has shared her knowledge with colleagues and she encourages them to achieve beyond what they imagine possible. Jayne exemplifies the Augustana spirit. She has taken this foundation and built upon it. She inspires others to join her. She is a Viking forever," said Diane Miller Johnson, an Augustana classmate of Meyer. Reynolds, class of 1965, is recognized for his contribution to and impact on the development of Sioux Falls as a significant regional medical center. A chemistry major at Augustana, Reynolds went on to study medicine at the University of South Dakota and Johns Hopkins University. In 1981, he became a founding member of the North Central Heart Institute in Sioux Falls. In 2000, Reynolds was the driving force to start The Heart Hospital. Now known as the Avera Heart Hospital of South Dakota, this world class heart program was recognized as one of the Top 50 Cardiovascular Hospitals in the United States in 2011. Now retired, Reynolds performed more than 4,500 open heart procedures in his career. "In traveling with Jim both professionally and personally in South Dakota and surrounding areas, Jim does not go anyplace without someone stopping and telling him, 'you saved my son's life', 'you saved my husband's life', 'you saved my grandfather's life', or 'you operated on me'. Very few people in this world have created this type of living legacy," said Jon C. Soderholm, president for Avera Heart Hospital of South Dakota. At the Blue and Gold Gala, Dr. John Berdahl will receive the Augustana Horizon Award, an honor recognizing the rising career of a young alumni (less than 15 years after graduation). Berdahl, class of '99, is an ophthalmologist at Vance Thompson Vision in Sioux Falls. He earned his MD, graduating with honors, from Mayo Medical School in Rochester, Minn., and finished his internship at the Mayo Clinic in Scottsdale, Ariz. He completed ophthalmology residency at Duke University where his published work, research, teaching and care of patients brought him many honors including best resident and national recognition as first place winner of the Resident Writers Award. Berdahl pursued additional advanced surgical training at Minnesota Eye Consultants. As a fellow, he received the Claes Dohlman Award from Harvard University, given to the top cornea fellow in the country. His commitment to those in need is demonstrated by his leadership role in EyeCare America (which provides free eye care to the underserved) and the numerous surgical mission trips he continues to participate in worldwide. "In some ways the most important thing I would like to say about John is not about his academic achievements, but his outstanding character. John is simply one of the best persons you will ever meet. He is an outstanding scholar and person," said Dr. Karel Vander Lugt, emeriti professor of physics.